Imagine you got a call one day. An invitation to address a plenary session of a trade associations largest annual gathering. "You are so well respected in this industry, and have so many years of unique and valuable expertise, we would love for you to join us to share your insights." Pretty exciting right? You've earned it. And the first thing you'll do when you hang up the phone is call one of the junior folks in your office and hand it to them. Tell them to pick the topic, plan the key points and drop it into PowerPoint. Right? After all the key thing here is the presentation technology. That's what will make or break this potentially significant speech and put your company on the national map. What? You'd want to pick the topic yourself? First you'd research who would be in the audience? Then you'd want to think about it for several days and make some notes? Later you'd select a topic that you knew would resonate with attendees? Oh, and then you'd call a couple folks to confirm your ideas before you start to work on an outline over several days or weeks? And only then draft your remarks? Later edit them to capture the points that you know from your audience research will make your presentation really impactful or attendees? And only then had it off to someone to prepare the PowerPoint. Of course that's what you do. But here's what's ironic. Your digital marketing is your opportunity to make that powerful presentation not just to the 500 or 10,000 at an association meeting, and not just to all the buyers in your region, but indeed to the whole country (and world if you aspire to sell globally) every single day without the hassle of another TSA interaction. But because it's "the internet" or "a website" or "a blog" or "social media" you just hand it off to someone who's a digital native and facile with the tools and gadgets. OK, we agree. But you're not going to do it all yourself. So the question is what to delegate and what you must insist on being involved with. Let's take a look. That's what all the advisors and business coaches have taught you, right? It makes sense. You've got unique perspective, strengths and insights. You need to focus those on the areas where you create value and empower folks, put the right people in the right seats, and delegate elsewhere. After all, you don't do your own accounting data entry and reconciliation. You don't prepare your own tax return. You don't manage all the little HR hassles. You delegate appropriately. But you know what's happening. You have a finance staff, but you regularly review your financials and you know what they mean and how to discuss them with the bank, and you still sit down with your accountant for their insights into the story they tell. And you almost certainly have some sort of key indicator dashboard that you review daily or weekly. You don't prepare your tax return, but you know darn well how it's been constructed before you sign it. And you don't manage each little HR issue, but you set the tone and culture of the company. 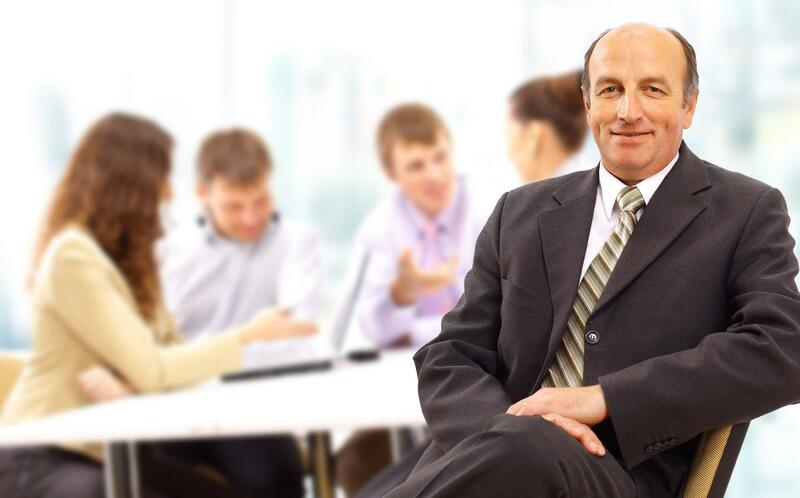 If you're like many mid market CEOs you may be one of the best sales people in the company. You enjoy going out on sales calls and feel most engaged when you do. But still, you probably delegate sales management. You know...that whole website, blog, social media thing. You sensibly delegate there too. Normally to a young, digital native who lives in that world. But wait a minute...is this the same sort of delegation when it comes to IT and the web? You may have the IT guy manage the hassle with syncing your contacts with your phone, but do you leave the customer conversations to him too? But when it comes to digital marketing.....you have "the kid" do it because they understand that stuff better. Sure they understand the blogging software better, just as your bookkeeper understands Great Plains better. And they probably are more familiar with the email tool, just as your IT person knows which check box will enable the contact sync with your phone. But do either of them understand your business? Do they understand your customers' businesses? Do they know what it's like to weigh a capital investment vs. another hire? Can they empathize with the decisions your customers make when they decide to buy from you? Of course not. They've got enthusiasm and technical skills you lack....but they're not fully fledged business people. And that's not their fault. It's just the cycle of life. They don't have enough bruises yet. Sure, if they're bright and motivated their learning quickly and you have high expectations. And they may be real wizards in actually getting stuff on the web, sending an email, providing the reports you want and even interpreting analytics for you. But just as PowerPoint is only a tool to help you deliver remarks that are a thoughtful, insightful and edifying distillation of years of experience and accumulated savvy, these websites, email, video and other tools are only vehicles to share that insight. It's easy to find the point at which things get sideways - it's the perception of the web. Most CEOs (who still remember waiting to buy their first fax until prices came down) think of it as a gee whiz sort of add on. Today, for any company with whom you don't have an existing relationships, your company's and your personal digital footprint ARE YOUR COMPANY and YOU. So your decision isn't so much how important it is - but rather how important reaching buyers is to your long-term success. If you're content to get up in front of the audience and speak for 45 minutes about you, fine. You're probably on track - most B2B websites are completely company focused. If on the other hand there's value that you can create for other companies, then it's time to start to help them via the web just as you might in a discovery meeting, plant tour or demo. Those nuggets of value though are really found at the nexus of your understanding of your prospects' businesses and your ability to help. And that understanding can't be delegated. So here's what you can and can't delegate - but first a couple caveats. If you're a large enough company that you would have handed your presentation prep off to a copywriter, then this isn't relevant. But if you're not that big, or you're interested enough in your company's communications that you would have retained control, then this list is for you. Build personas - must delegate OUTSIDE the company - there are too many assumptions baked in to the way you and your colleagues approach buyers. This requires a 3rd party perspective. But review and challenge before implementation! Build 3D buyers' journey - delegate this to the same folks helping with personas. But review and challenge before implementation. Editorial calendar - partially delegate - executing a digital marketing program really well requires art & science. Building the editorial calendar is one of the most artistic elements. If this is simply a formulaic regurgitation of industry junk, you'll fail. If it's thin, infrequent, banal or salesy, you'll fail. You must stick your nose in here challenging topics, objectives, mapping to buyers journey, frequency, etc. You've got a marketing team for their expertise and manpower. But as digital marketing becomes the form of prospect and customer interaction, this transcends what you traditionally think of as marketing. This is now your company's relationship with all potential customers. Doesn't that merit your involvement? Even if you typically haven't dabble in marketing which was traditionally just an incidental activity for B2B manufacturers? Want to learn more about how doing this right will pay dividends well beyond simply increasing leads? Download our free guide "A Finance Exec's Guide to Digital Marketing."